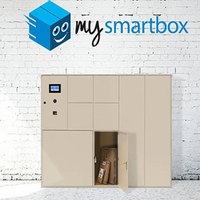 A smart parcel box...a secure parcel box...MySmartBox® offers a smart and connected parcel box solution. You'll never have to miss a delivery again. If you shop online regularly, this is the perfect solution for you. Simply order online, your parcel is delivered to a smart box, then you'll receive an SMS notification including a password, to ensure you can collect your parcel safely and securely. Your parcel will be available for collection 24/7, therefore you will be able to collect it whenever you want. SIMPLE!!! It's really never been so easy, whether you're a company, or an individual awaiting your delivery, this secure parcel delivery box is the solution! From an environmental approach, only one delivery will take place, no further attempts will be required therefore reducing CO2 emissions. You can also opt for a refrigerated locker, to receive your groceries and collect them, when you want them. Fresh food stored in a cool locker, with 3 different temperature settings to choose from. This solution is easy to service and maintain. A refrigerated parcel box is ideal if you receive regular fresh grocery deliveries. 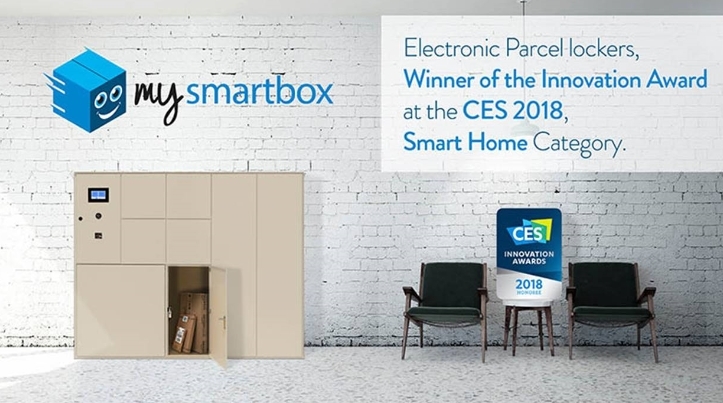 Manufactured from electro-galvanised steel, the MySmartBox® is a strong and robust solution, able to secure your parcels. Simply plug into a power socket and shop online today.